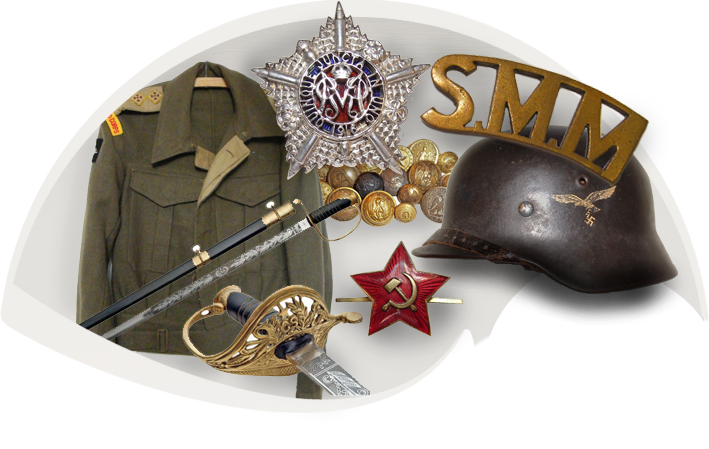 1Its easy to sign up to Sell My Militaria, just create an account here and thats it. 2Use our simple online form to add your advert, it only takes a few seconds. Tips for Buyers (Please Read Before Registering). Most adverts have all the details needed for you to contact the seller. Its up to you and the seller to arrange payment and delivery between yourselves. Ask questions until you are sure. Tips for Sellers (Please Read Before Registering). Before placing your advert, make sure you have all the details to hand, you will need a product name, it's category, a short description, a full description, a price and at least one image. Artifacts or replicas of military, police, etc., collected for their historical significance. Some time referred to as 'military antiquities' or 'military antiques'.